He is neither held back nor pushed pushed forward according to the learning rates of other students. Since children are so different, it is unrealistic to expect that they will learn at the same rate. This is one of the foundation skills for learning. A Montessori day is structured so that a child’s focus is never interrupted by having to move on to the next lesson before finishing the current one. This is important because some children are visual learners, some are auditory learners, and some learn through body movement and feeling, and some use a combination of several learning avenues. This freedom to explore and choose areas of interest will carry over into a willingness to explore areas that may not otherwise appeal to a child. Your child will learn how to become independent by learning how to take care of herself – her body, her belongings and her environment. Montessori understands that at the heart of every child is a healthy drive toward independence. Independence is important because it is directly related to high self-esteem, competence and cooperation. This provides the sense of security and comfort they need to become self-directed. Everyone, including children, prefers order to chaos because it is easier to function in an orderly workplace. Order helps children become independent because they can always find the work materials they are going to use next without help. By being taught to maintain this order, your child will learning awareness for others and the fact that you have to take care of things that are shared – which is the basis of cooperation. In Montessori the child is always working on the adult he is going to become. Montessori recognizes that children deserve and need to be treated with the same respect that we treat adults. A multi-disciplinary approach is taken in regard to your child’s interest. If your child were interested in dinosaurs, for example, this interest would be explored throughout the curriculum. She would be encouraged to read about dinosaurs to learn language skills; study the measurements of dinosaurs to understand math concepts; and depict dinosaurs when doing art lessons. Her interest in dinosaurs could even be used to facilitate lessons in history and geography. Montessori recognizes that when a child’s interests are involved, any subject becomes fascinating. Perhaps the biggest benefit of a Montessori education is that it teaches children how to learn instead of just what to learn. It instills in them a life-long love of learning, which prepares them to successfully go in any direction their skills and interests may take them. 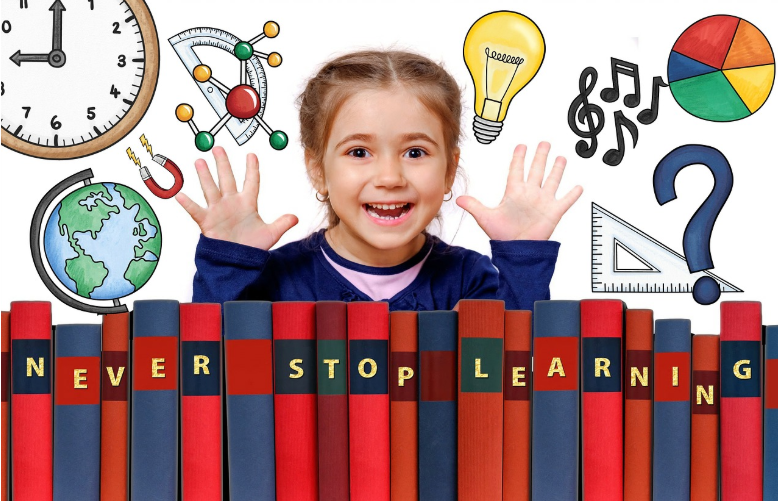 For more information on how Five Star Montessori can help develop your child’s love of learning, visit our programs page for the infant, toddler, preschooler or Kindergartner in your life! We have two locations to serve you best, one in West Houston and one in Katy. Our Montessori Program is based on self-directed, non-competitive activities, which help children develop good self-images and the confidence to face challenges and change with optimism. We invite you in for a personal tour!